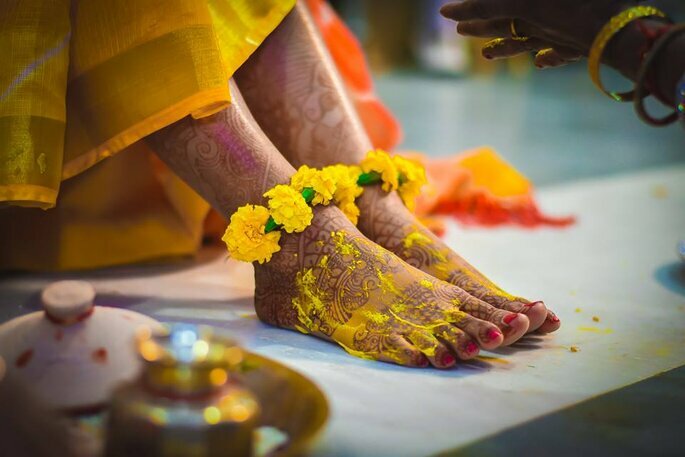 Haldi Ceremony- An Indian Wedding ritual that also enhances ones natural beauty. It is one of the main traditions followed by every Indian family in weddings. 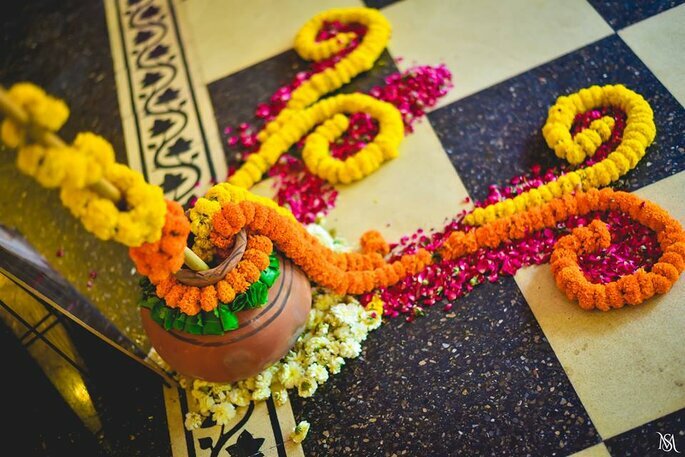 The haldi Ceremony is one of the main, traditional rituals followed in every Indian wedding. Indian weddings consist of a combination of many different ceremonies; like baan mehndi, haldi, sangeet, mayra, bhaat, the wedding day and reception. The weddings are a grand celebration and allows families to get together with relatives and friends. The Haldi ceremony usually takes place in the morning of the wedding day or the day before the wedding day. All the decoration of the Haldi function is done with Yellow flowers as haldi “Turmeric” is yellow itself. It is not only a part of the Bride’s celebration, but also takes place on the grooms side. Customs, however are now changing according to the modern world and often take place at the same place, decided by both the bride and groom. The amazing moments below are captured by Mani Sharma Photografy. In every Indian home haldi is easily available. It is known to increase the value of Indian food and also works as an antiseptic for small injuries. 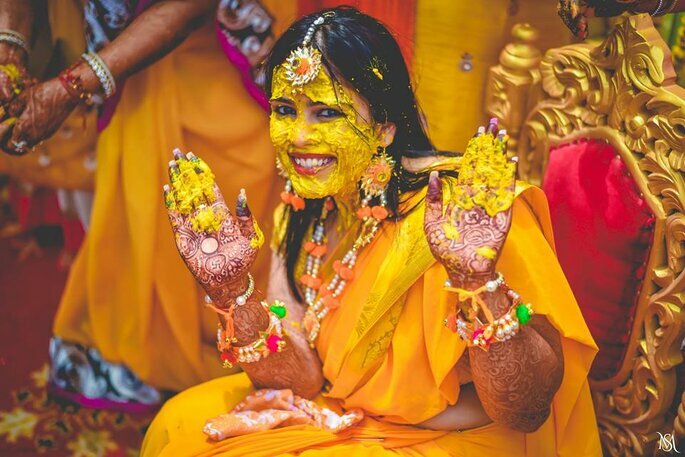 Haldi is a ritual ceremony in Indian weddings. It is a mixture of turmeric powder, oil, gram flour, barley flour, sandalwood powder and water, which is prepared by the ladies of the house for the morning haldi celebration. 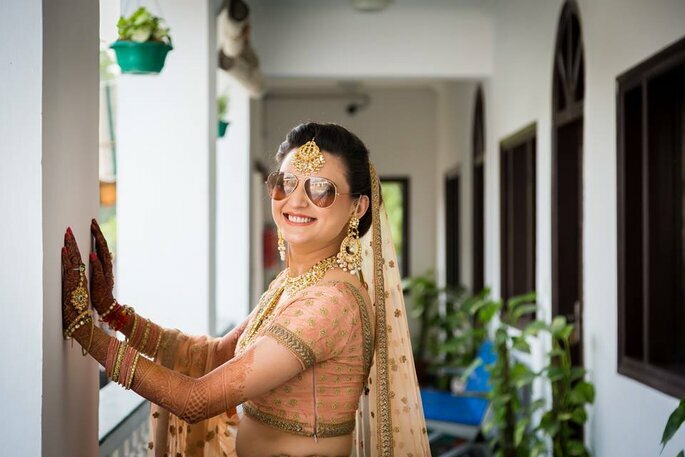 Haldi is traditionally applied to brighten the skin before the wedding day and also has some superstitious connotations: to protect the bride and groom from Evil Eyes. Wear clothes that you’re happy to get messy! Yes, it will be messy. With everyone wanting to put some haldi on your, be ready to get covered! find a chair or stool to sit on and let the fun begin. This is a great time to relax and have fun with your loved ones before your wedding ceremony. The haldi function is usually held at the bride and grooms own homes or often in outdoor venues. like the color of the haldi yellow is certainly the colour of the moment. From flowers to the clothes you wear, you’ll be a glowing yellow all around. 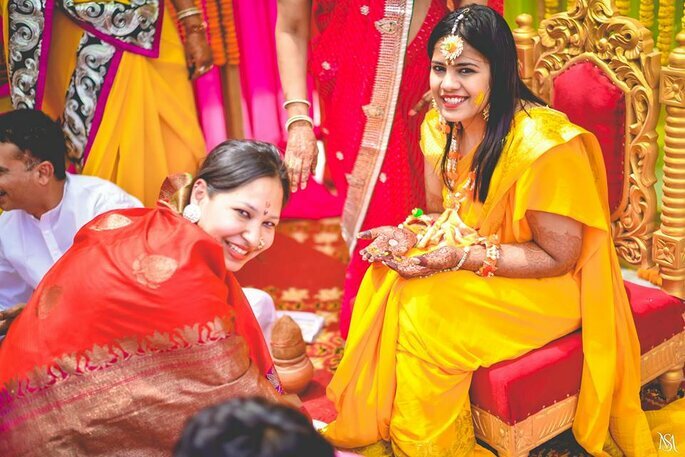 Traditionally married women from the family apply the haldi to the bride and groom with grass and brush it on their hands seven times after this friends and other family members are given a piece of the action and get to join in on the fun. In olden times when there were no beauty cosmetics or makeup artists, haldi was used to cleanse and enhance ones beauty. Since then, haldi is used traditionally before the wedding day to enhance the to-be-couples natural glow. It’s known to have healing properties and to alleviate scars making you look your best before the big day. 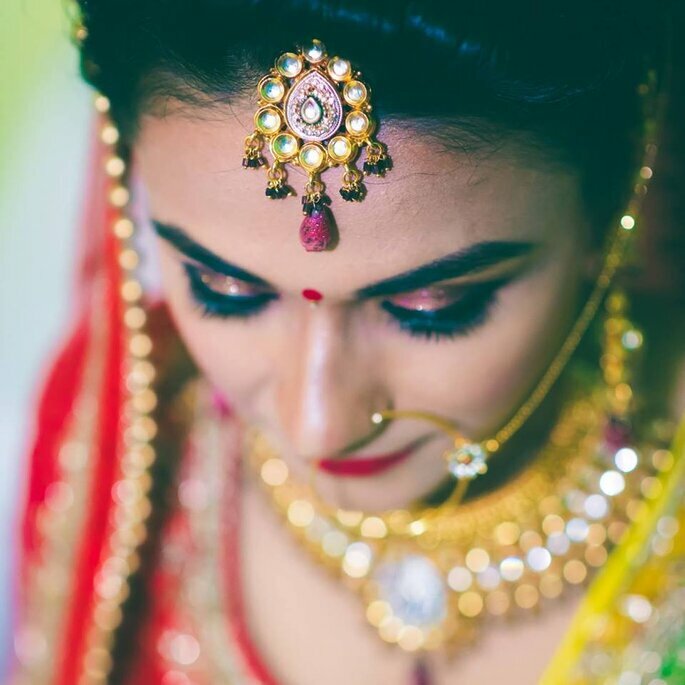 All to-be-brides and grooms want to look gorgeous on their wedding day; brides go to makeup artists for their perfect look and grooms go to their preferred hair salon to look their best; but here in India, the most common beauty treatment is given by this Indian ritual. Haldi is just as important as the Mehandi! So, ladies and gentlemen, get your glow on at your haldi ceremony.